Cuba has welcomed the Thomson Dream cruise liner with open arms as it became one of the biggest cruise ships to dock in the country for several years. The welcome received from the Cuban people was a far cry from Fidel Castro’s remarks about cruise passengers, after basically saying that they dump their rubbish in Cuba and spending “a few cents”. However, when the Thomson Dream pulled up, many Havanans lined up to wave and greet the tourists, a salsa band was playing and showgirls were shimmying in the street. For any passengers getting off the ship to explore Cuba, waiters lined the street giving out free rum and greeting everyone. All of the passengers aboard the ship agreed that it was the warmest welcome that they had received during their cruise. The cruise industry in Cuba has suffered severely in the last few years, as well as cutting remarks from Fidel Castro, they also have the US embargo to contend with so no cruise ships from the US can stop at Cuba. Last year, cruise visitor figures plumetted, from 102,000 visitors each year to just 10,000 visitors. 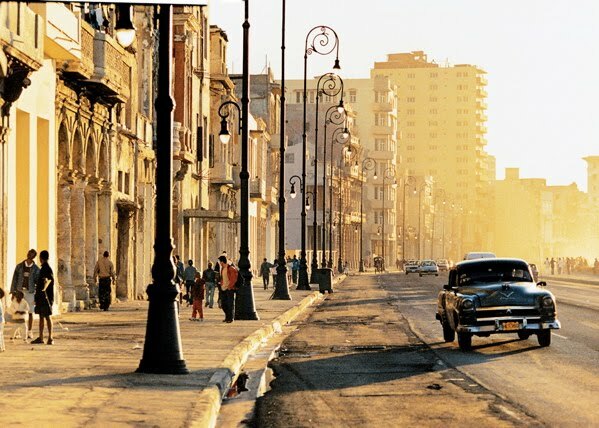 Raúl Castro, the new president of Cuba is hoping to turn things around and is encouraging all types of tourism to Cuba. The country is currently facing an economic crisis and those “few cents” from cruise passengers are suddenly looking very sweet. Each cruise visitor onboard the Thomson Dream spent on average, between $50-$200 a day while they were docked in cuba. If you multiply this by the amount of visitors who could come to Cuba each year, that is an injection of millions of dollars into the economy.